$45 worth of goodies + $15 gift certificate! to celebrate reaching 200 followers (thank youuuuu! ), i'm hosting a giveaway! yay! 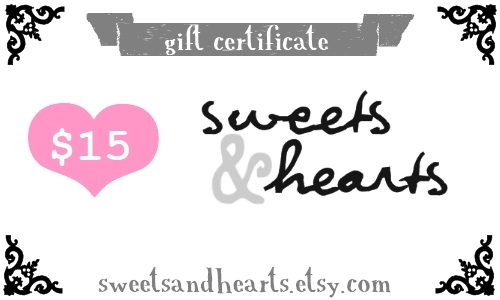 $15 gift certificate to my etsy shop! That's $45 worth of goodies + a $15 gift certificate! Tweet about the giveaway for 1 entry by clicking the "tweet" button at the bottom of this post and leave a comment with your twitter username. Or you may write your own tweet, but be sure to include a link to this post (here's the short link: http://bit.ly/biIy1U)and mention my username @iamericaleigh. Can be done daily for extra entries! Just remember to comment. Share the giveaway on Facebook for 1 entry by clicking the "share" button at the bottom of this post. Leave a comment saying you did this (I originally asked to link to it, but I don't know if you can lol, so just tell me if you do). "Like"/become a fan of my Facebook page for 1 entry and leave a comment with your Facebook name. 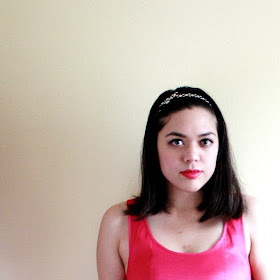 Blog about this giveaway (please include a link to this post) for 3 entries! Leave a comment with a link to your blog post.